Yellow cabs beeping their way through rush hour, skyscrapers standing tall and proud next to each other while surrounding a great green area of 3.4 km2, which is known as Central Park. Eventually, you have already found yourself strolling through the streets of New York City once – if not; don’t wait for too long anymore. The never-tired place is indeed inspiring. During fashion week however, the whole game plays on an even higher level. Yet, another reason why it is the place, which represents the message of the current Diesel campaign, the best – go with the flaw. 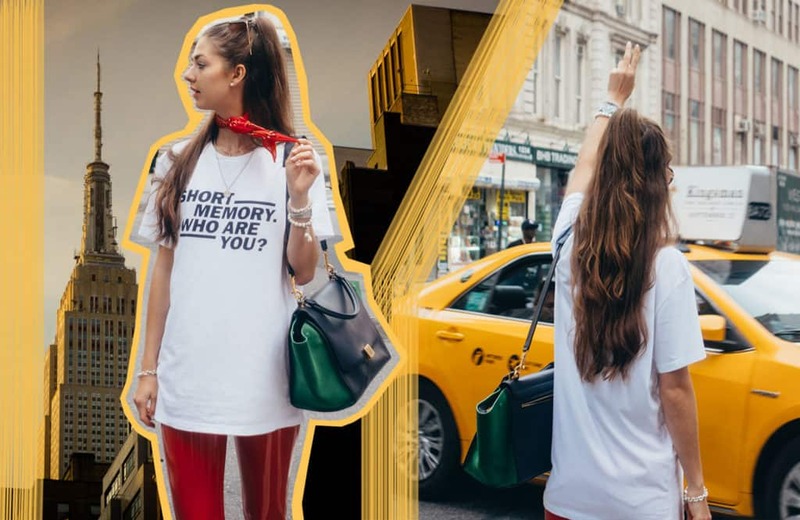 They are in front of the fashion show venues, in the streets of SoHo and you’ll even find them at the airport – stylish editors, bloggers and fashionistas hit the city during New York Fashion Week to the max. In addition to the fashion shows going on, inspiration can be found all over the city. United with the unique vibe of the Big Apple, there is this special atmosphere, which makes the first days of September to a fashionable spectacle. 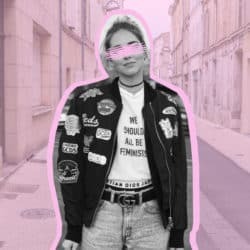 Even though every designer shows different collections and the outfits of the street style stars vary – at least more or less – there is this one thing, which they all have in common. Actually, it could be named as the special ingredient that makes it a unique vibe: New York Fashion Week is about being, wearing and showing whom you are – no matter if this means not to be perfect in society's eyes. At first sight though, it might happen that this mood is understood in a wrong way. There’s a mass of fashion lovers around and it may seem like each of them wants to look more fancy than the other. But is it really about outdoing the seat neighbors in the front row? Well, this might be the more superficial impression. Looking at it more deeply makes it obvious that the people in the fashion industry just keep developing their style – there is always a way to change it up a little and to eventually make it more appropriate to one’s personality. The looks shown on the runway even increase the empowerment to stay true to the own personality. In the end, a collection is only successful if the designer believes in his brand DNA while presenting it appropriate to today’s zeitgeist. Let’s go back to the Diesel campaign – #GoWithTheFlaw. Apparently, the just described fashion week mood matches the message of this hashtag perfectly. Diesel’s aim is to reach people with a “Short memory to themselves”, which asks, “Who are you?” Whether this note might be printed on a T-Shirt or represented in the brands newest campaign video; it stands for appreciating yourself – especially for your flaws. You know actually, everyone can be perfect – but it’s an individual kind of perfection. What counts is to seek for the distinctive specialness. Just imagine yourself standing under the Empire State Building or in front of the Guggenheim museum – wouldn’t it be boring if they were normal houses? Probably yes. So what they represent is their specific kind of beauty – featuring an impressive New York City mood. Apparently, this campaign not only counts for the fellows who are living and enjoying their time in the city, which is known for the State of Liberty. The Diesel message is appropriate for everyone and everywhere. In fact, accepting yourself is pretty “in” all over the world. Incidentally, lots of heartfelt thanks go to the Riem Arcaden shopping mall. With this trip, a big New York Fashion Week dream got real – another reason why to relish reality, like Diesel does it. 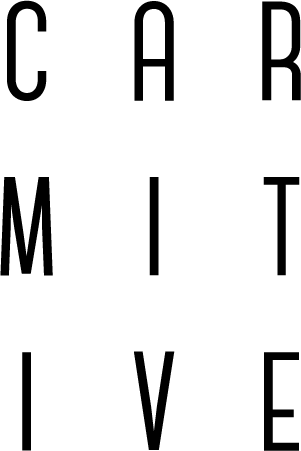 Find more impressions of Carmitive in NYC on Instagram. 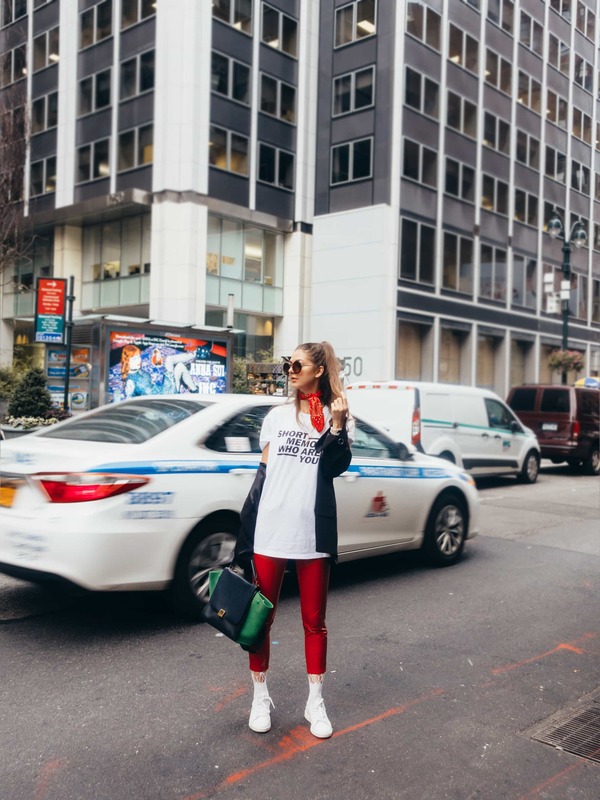 Posted in Fashion & Outfits, New York and tagged Diesel, Inspiration, Lifestyle, Musthaves, New York, New York Fashion Week, NYFW, Red, Statement. Bookmark the permalink. Wow einfach nur mega cool!!! ich finde NYC an sich ja schon so faszinierend, vl würde mich die FW sogar ein wenig überfordern 😉 die Fotos sind der Hammer! Oh viielen vielen Dank! Es war wirklich sehr viel los, aber ich würde keine einzige Minute davon missen wollen! Carms looks like you had such an amazing time at NYFW. Love loove your photos and outfit, those red pants are awesome! Also loving your new website layout! Das klingt nach einer coolen Zeit! Deine Outfits haben mir auf jeden Fall mega gut gefallen! Beneide dich sehr um diese tolle Erfahrung! Oh das war es auf jeden Fall! Vielen lieben Dank <3 Ich bin mir sicher, du wirst das auch einmal erleben dürfen! You look so chic and ready for NYFW, loving how you look! Oh thank you so so much Ana, your words mean everything to me! OMG, du siehst super aus ♥ Ein fantastischer FW-Look! I love the look! Gorgeous pants! missing NYC so much! so glad you’re having a great time!! Loving this look with the bandana scarf Carmen! Keep up your stylish looks! Love them!! Wooooow, Carmen!! Ich liebe den genialen Look mit dieser roten Hose und die Location ist einfach so perfekt gewählt! Hammer Fotos, Süße! I also got a shirt from this campaign and I just love it! Oh yes diese rote Vinysl Pants ist einfach der absolute Hammer ♥ Tolles Styling!!! What a fun statement shirt to wear. Love your trousers by the way. Ein wirklich toller Beitrag ! Besonders deine Bildbearbeitung gefällt mir super!